These stunning ultra stretchy light weight jackets are easycare and look stunning! 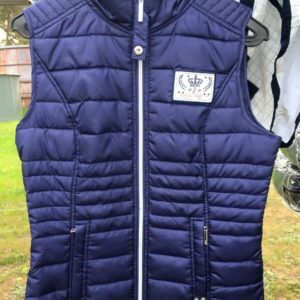 Black and Brown avail with the Equi-theme crown on shoulder, Navy is avail with the Tosoni brand. 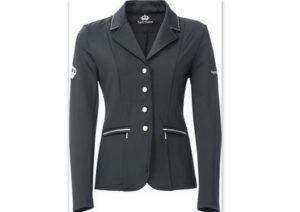 ( exactly the same jacket ) competition jackets are made of Softshell and are better than a second skin! 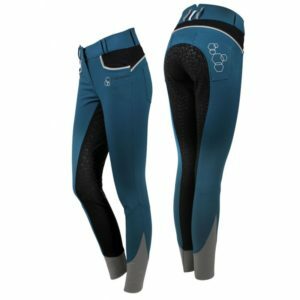 It is a true membrane, a supple, stretch and breathable fabric that moulds to your body. With its water beading and wind blocking properties, you can ride in confidence. Anatomic close fitting cut with allowance seams at elbows for total freedom of movement even over jumps, and tailoring seams in front and back prolonged by double flat slits. In dual layer Softshell for mid-season use. Collar is enhanced with several solitaire strass. Small strass inlaid button closure, repeated on cuffs. 2 horizontal pockets with YKK zip under braided flap. Crown embroidery and strass on right arm. 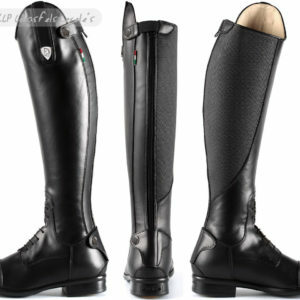 Composition: outer: 91% nylon and 9% elastane – inner: 90% nylon and 10% elastane.